In Stock! New Color! 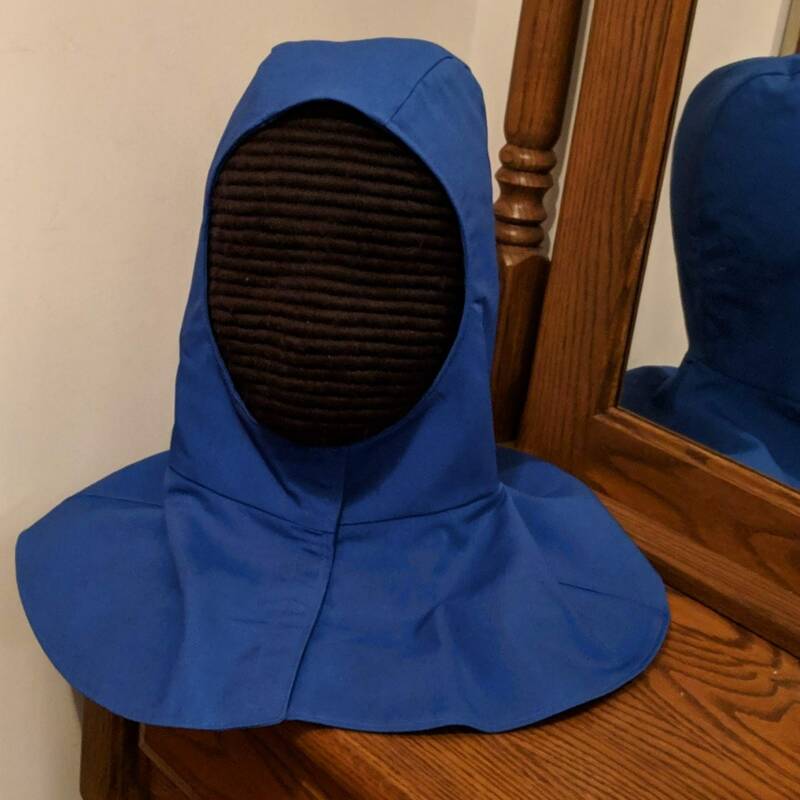 Standard Gipsy Peddler SCA Undermask Fencing Hood in royal blue - Perfect Heraldic Azure for your rapier armor! Offered for a limited time on a trial basis. If we get enough response to this color we will start carrying it as a stock color! Tell your friends in Atlantia, Caid, Trimaris and all the other SCA kingdoms that have this color in their heraldry! 2 Available for immediate shipping! 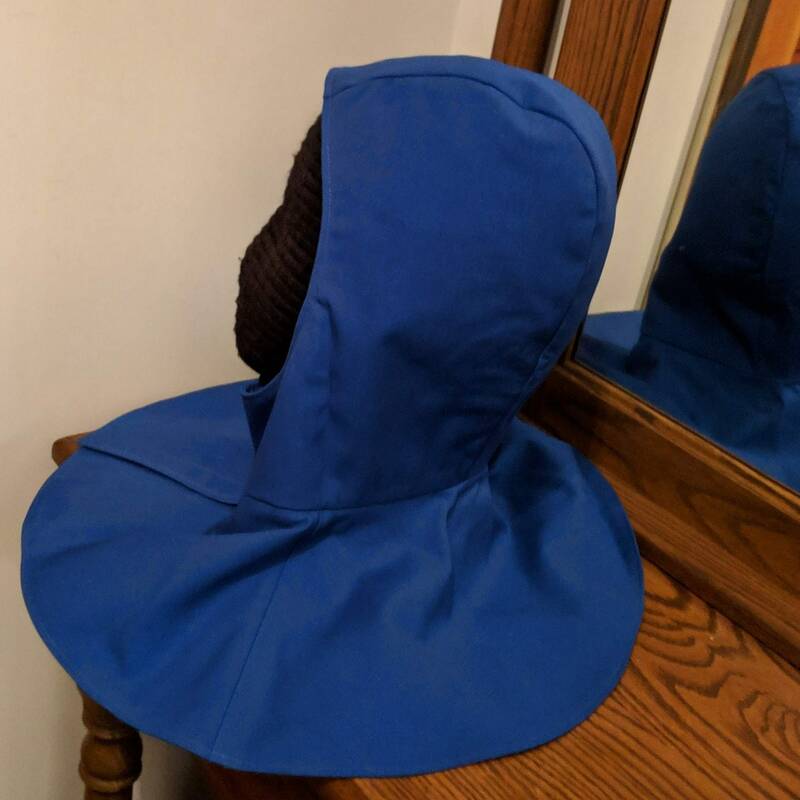 This fitted coif is made and designed for the USA by us using our own patterns! 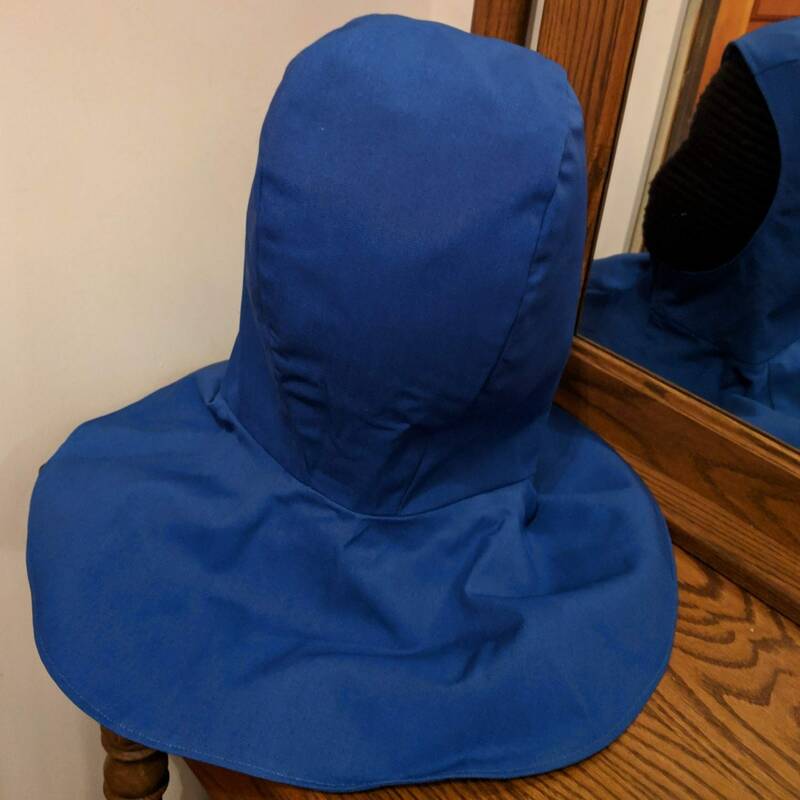 It is to be worn under the fencing mask leaving the chin exposed or covering it up. 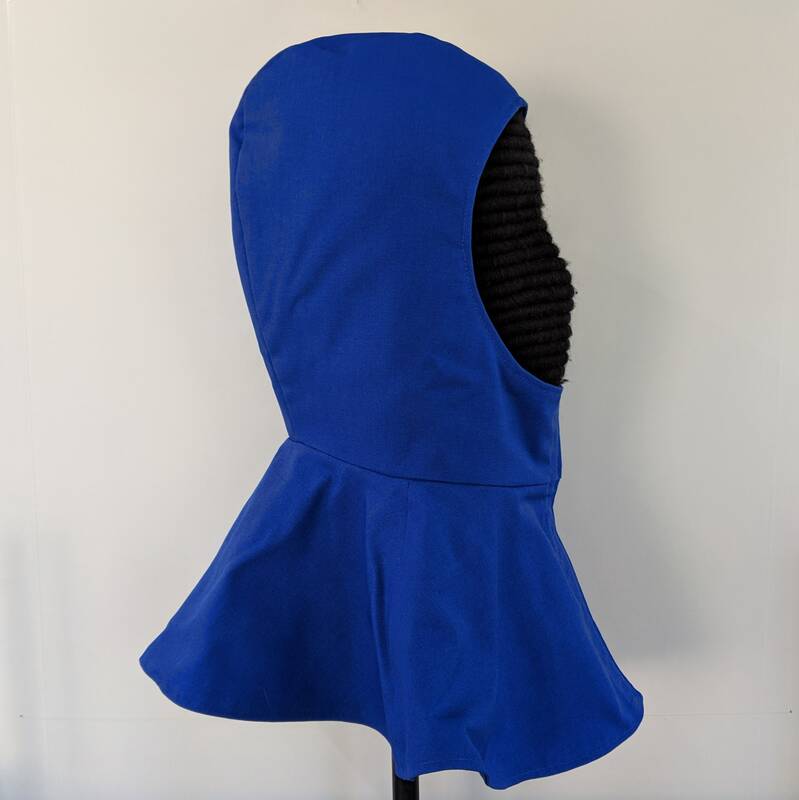 It is made of four layers sports cloth (trigger) in the head and neck. 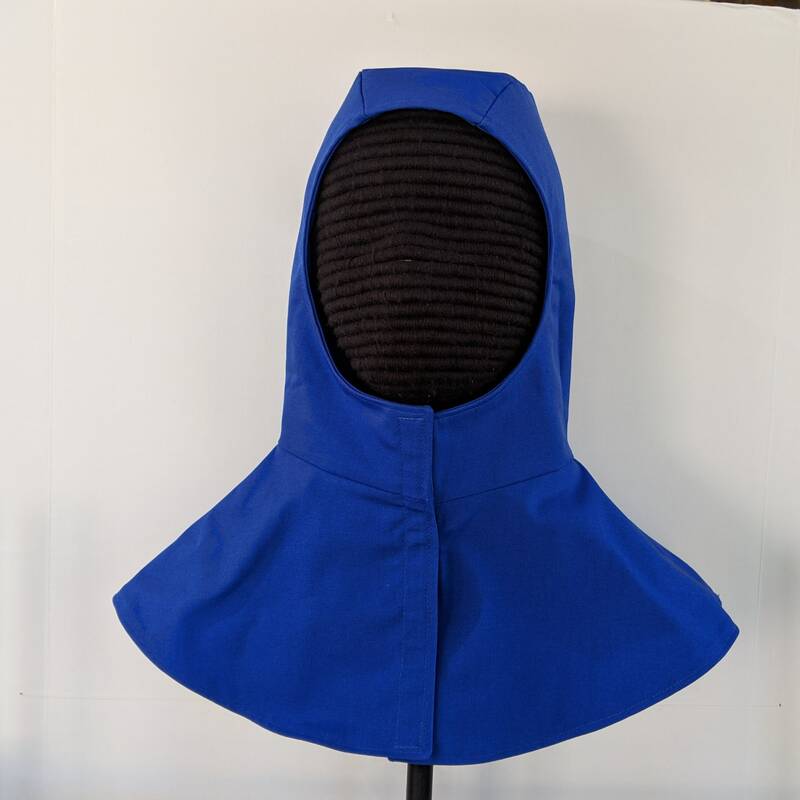 There is a two layer collar/capelet for tucking inside a doublet. 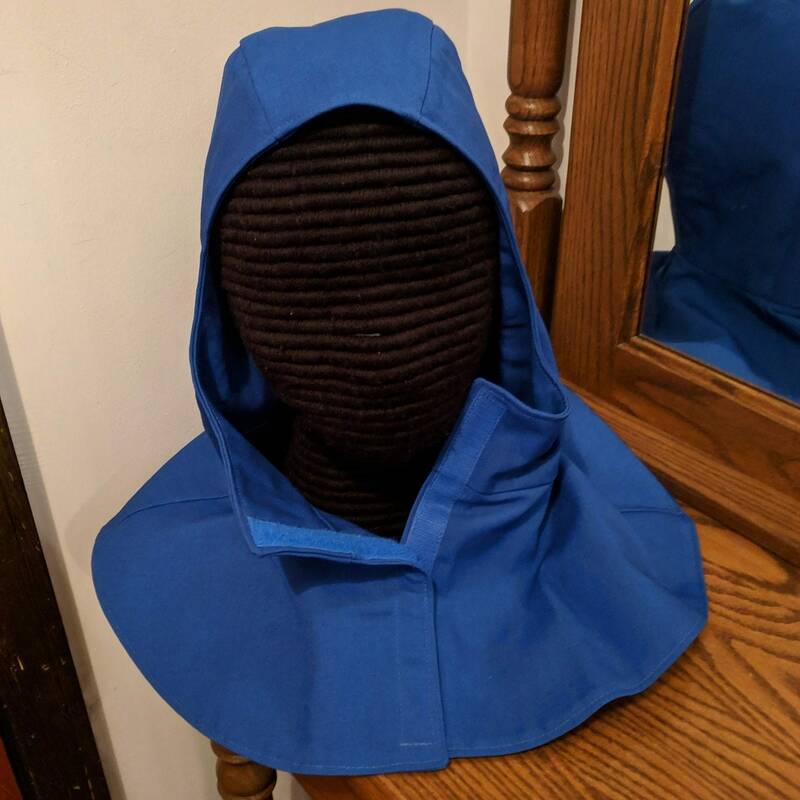 It can also be worn as a heavy fighter's arming cap. There is a Velcro closure for easy in and out!